We got a lot of snow this year and I got to drive a lot in limited visibility conditions. I decided I wanted to install the rear fog the European RS' have. I'll gather all the information I can in this thread (will update as I move along the steps) and use it to search for help with the wiring (hoping to figure out if it can be wired to the BCM and use the euro headlight switch with rear fog button). Here we go! As I said I'll update this every step of the way. Posting this in the lighting section as I'm doing it for the purpose of adding the light, not for aesthetics of having the euro diffuser! --> Bought mine on eBay UK (used), also available from Ford Parts UK if you send them a part inquiry. I read on some other posts it was about 120GBP. --> Found some listed on eBay UK, Ford Parts UK has it listed on their site for 185GBP which is really pricey! 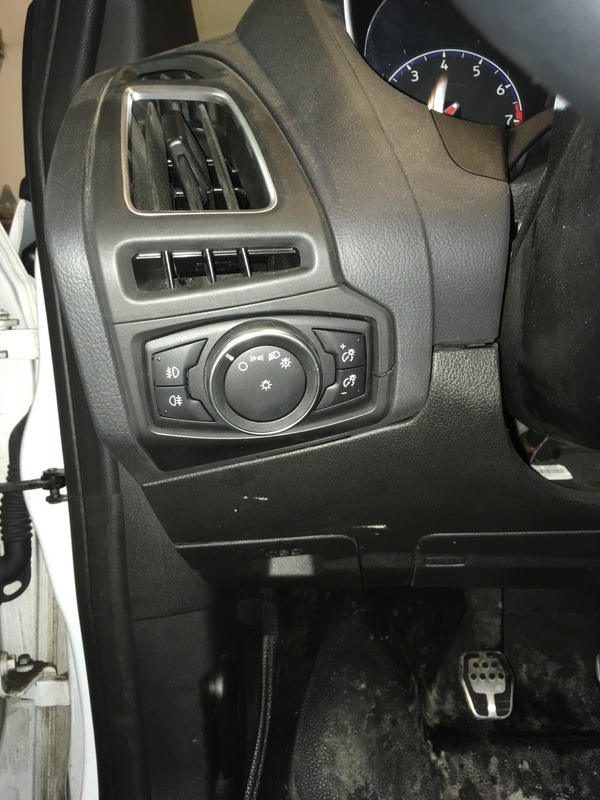 Headlight Switch: Found one used on eBay UK, simply look for one that looks as shown below (with rear fog button instead of hatch open button). Make sure it's not the one with the headlight beam adjustment button at the middle of it which is the most current one it seams. 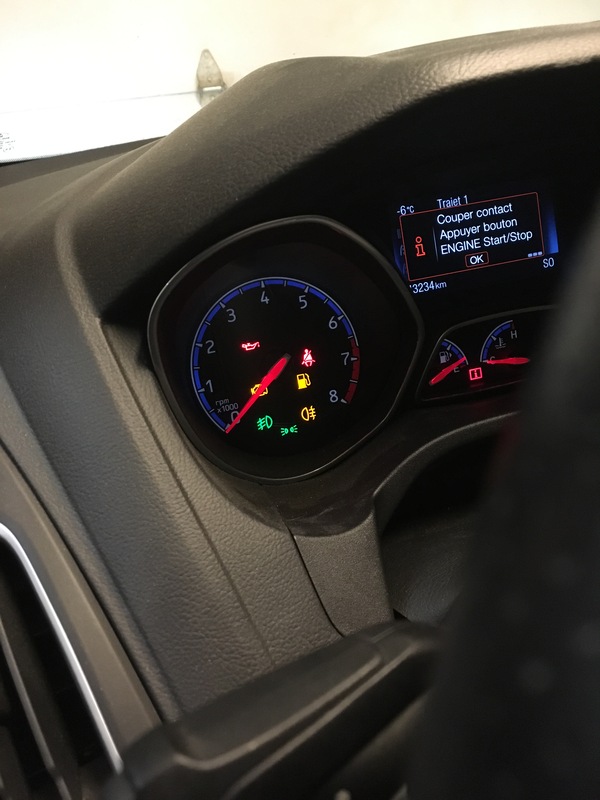 I've done this already, once replaced the euro switch activates the rear fog indicator in the instrument cluster...hopefully this is good hope that the BCM actually has an output for the rear fog. 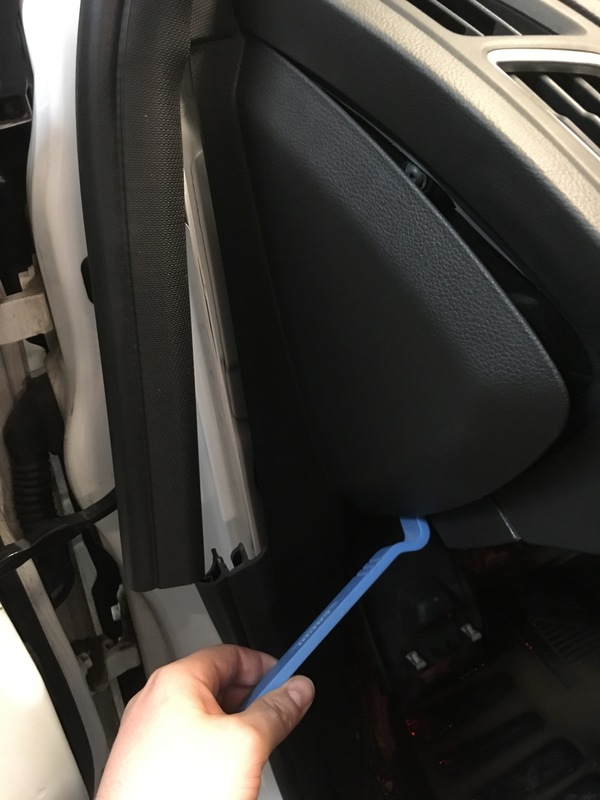 Our NA rear bumpers do not have the mouting provision for the rear fog light (see pictures below of the UK bumper cover light mount). I will post information on how I mounted the light once completed. 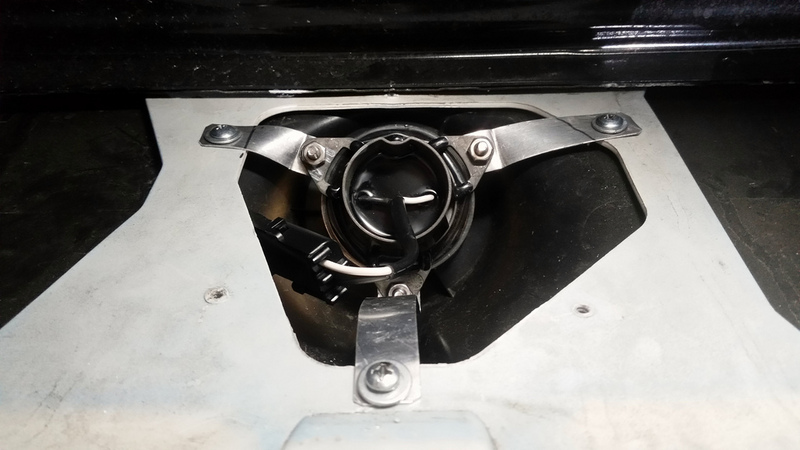 I did get a picture from another member who mounted the rear fog light using small brackets (see below). I'll either use this idea or fiberglass a mounting flange or depending on fitment mount it to the diffuser itself. 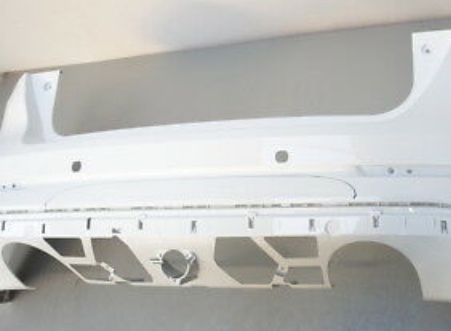 Diffuser replacement should be pretty straight forward though (same mounting tabs/points). To be updated once I figure it out (will need help)! I hope there is a way to make use of the euro headlight switch to control the rear fog through the BCM. I found it has been done on Fusions so hopefully it can be done on our cars. Otherwise I will wire it to a switch located somewhere within reach and view of the driver seat...plan B! Last edited by Barroux; 02-21-2019 at 11:25 AM. nicklulu, Madokami, BigFatFlip and 1 others like this. Basically what I need now is some help with the BCM / RS wiring. Anybody here known for their knowledge of the RS wiring and BCM? I'm hoping we can simply add a pin in en empty connector slot at the BCM and get the trigger for the rear fog working. Although it might not be as simple as this. I can execute the work no problem but need help figuring out where to pickup the signal from...if that is even possible. Please let me know if you think of a member I should write to for some help to get started! I wonder how different the BCM outputs are between the NA and Euro RS versions if anyone has the diagrams available maybe that could be a good starting point. 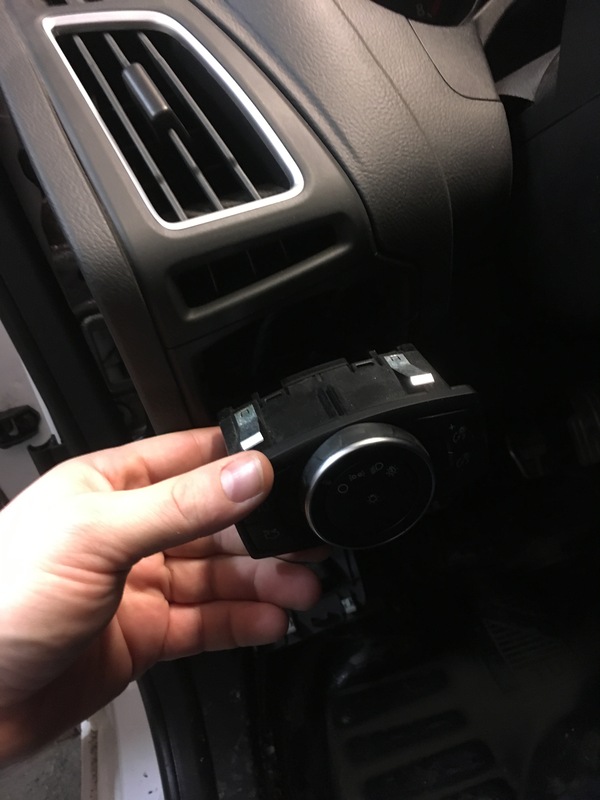 Darn, I was really hoping that euro switch had a connector that I could wire into to use the rear fog button to control some aux lighting. Thanks for the DIY and looking forward to what you find wiring-wise! Im excited to see how this works out. 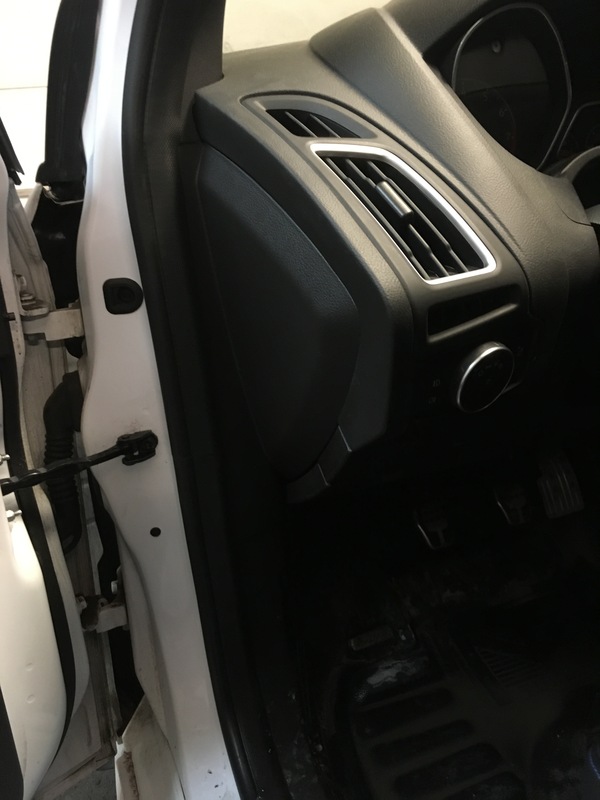 How would you actuate you trunk at this point? other than from the keyfob or the trunk handle? Just curious. That's a lot of good info man! As far as wiring I know from base model focus reading that the rear fog light wires direct to the BCM but there was really any proof to that. 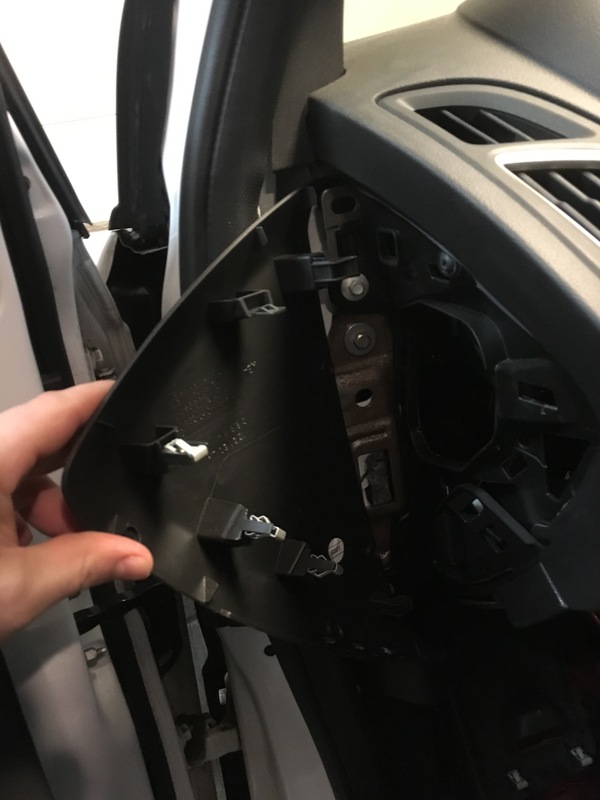 Supposedly there is connector in the trunk or rear tail light area. However for easy of the wiring, could you not tap in to the parking lights? Looking at page 86-2 of the wiring diagram. Pin 10 of C2280B at the BCM goes to the rear fog light. I think the center rear goes through C431 Pin 9 to C699Pin1 fog light then back through C699 at pin 2 can through C431 at Pin 10 then to Ground G401. Wire between fog light and BCM should be RD-BK (CLS45) and from fog light to ground BK-WH (GD150). Looking at page 151-17 C431 should be inside the rear bumper or behind the tire on the right side. Last edited by ControlNode; 02-21-2019 at 02:39 PM. No, that is not a good idea. Not sure about the US, but I've heard in Euro if you run the rear fog lights during clear weather you can be fined. Even if there is not fine/ticket it is very rude to have that bright light on if not needed. Really should be wired with its own control (the headlight switch he already bought). 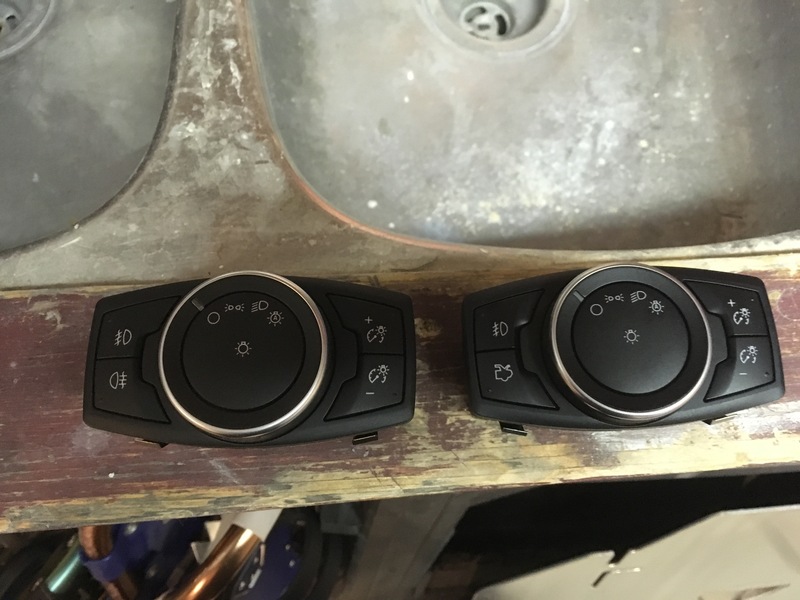 Based on the fact that the LIN from the headlight switch goes to the BCM and the gauge cluster shows the rear fog indicator I'd guess the BCM is supporting it right now. I only ever open it at the trunk. Never used the button on the headlight switch! Might bother those who actually use it though! 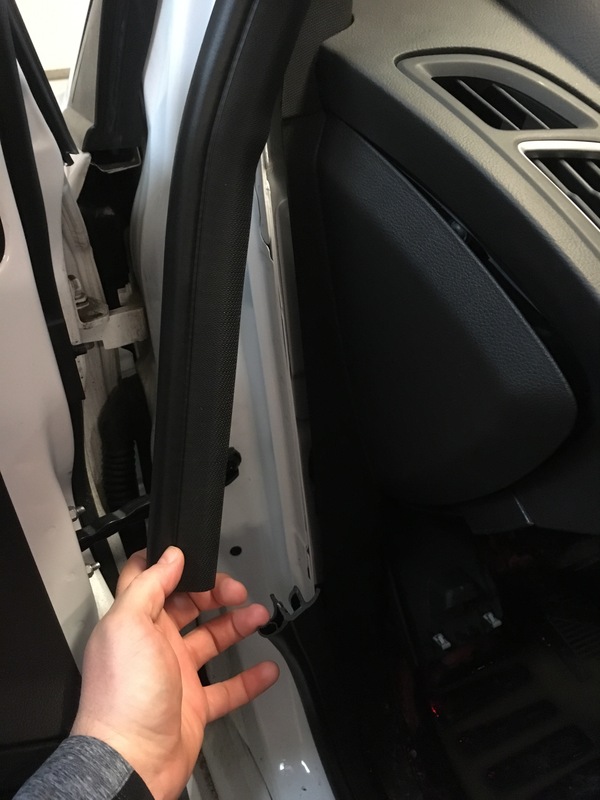 Especially those who installed the stronger struts so their trunk actually opens when released! That it some very good info here! I actually was hoping you would post some info from other posts I saw where you had a lot of info on wiring! Got a layout of the bcm connectors handy? 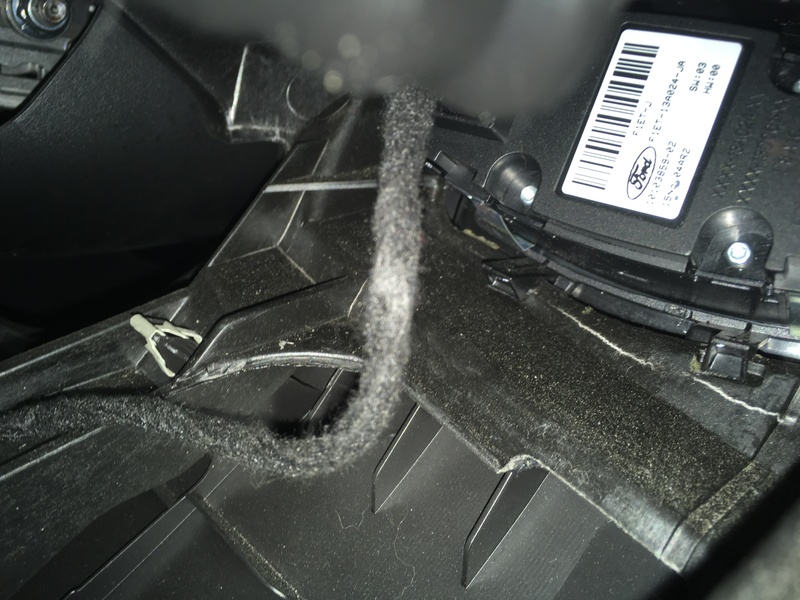 I will start from the bcm and check if there actually is a wire in our NA connectors and trace if to the back of the car to see if it has voltage when the rear fog is activated. That’s great information to get started that’s why I love this forum! 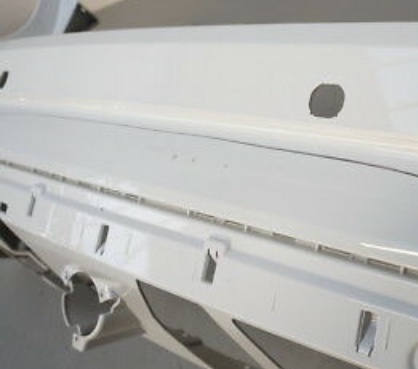 WTB EU spec rear diffuser with Fog Light Hole. no rear fog light for US market?